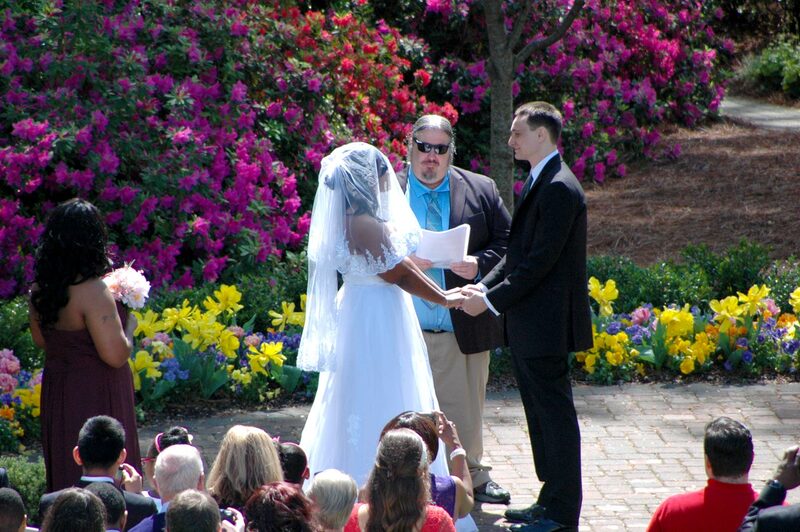 …on a breezy day basking in the warm rays of the sun, surrounded by beautiful azaleas of all shapes and colors. Wonderful fragrances fill the air, providing another dimension of delight for your senses. All this is yours and it’s closer than you think at the WRAL Azalea Gardens in Raleigh, North Carolina. 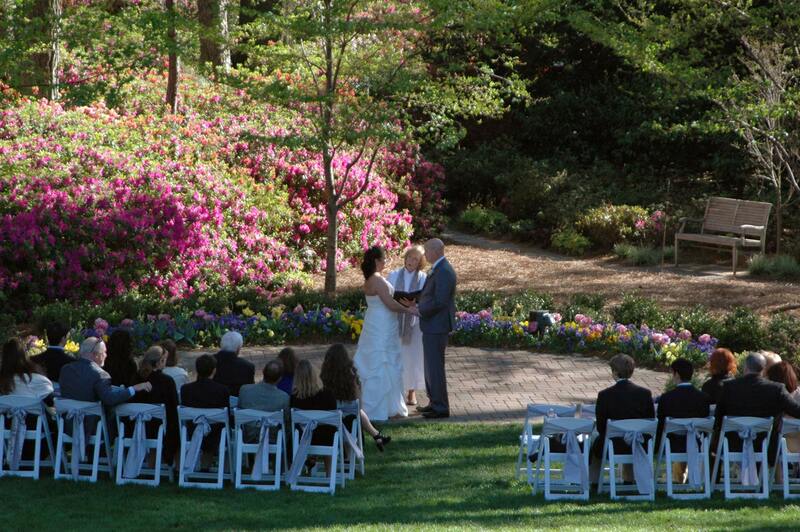 Situated conveniently behind the WRAL television studios and between the Main and Centennial campuses of North Carolina State University, the Gardens offer tranquility and beauty in the heart of the city. You won’t have to go far to discover another world. We welcome the public to the Gardens for photography use. No reservations or fees are required. Each year, WRAL-TV, MIX 101.5 and NC Beautiful sponsor the WRAL Azalea Celebration. This program has given away over 5,000 azaleas to more than 100 non-profits from all over the state of North Carolina. 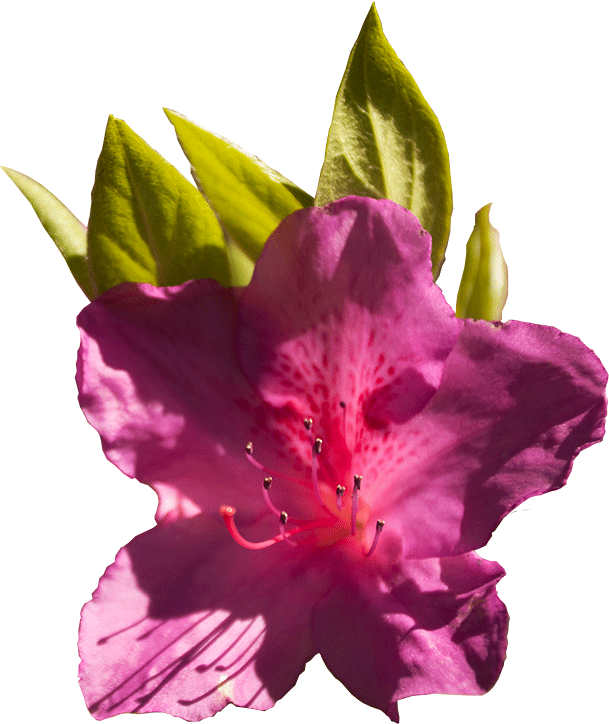 The goal of the program is to beautify the community and introduce new and unusual varieties of azaleas throughout North Carolina. 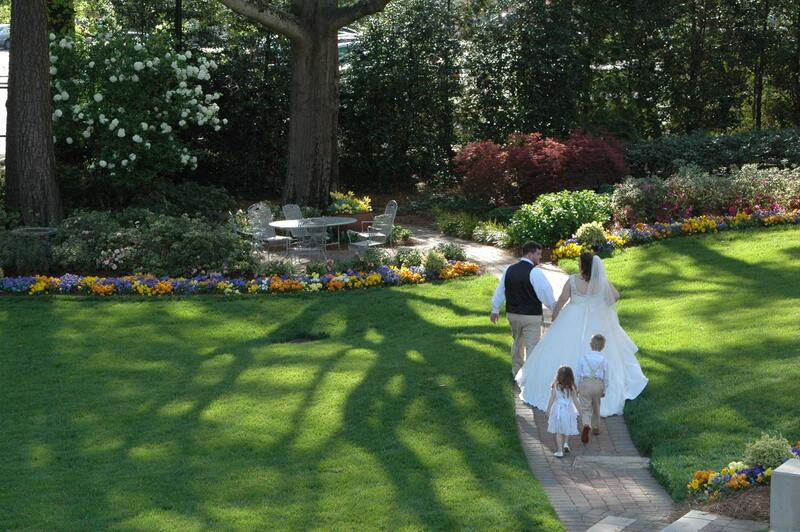 Weddings are hosted in the Gardens on weekends from April through mid-September. 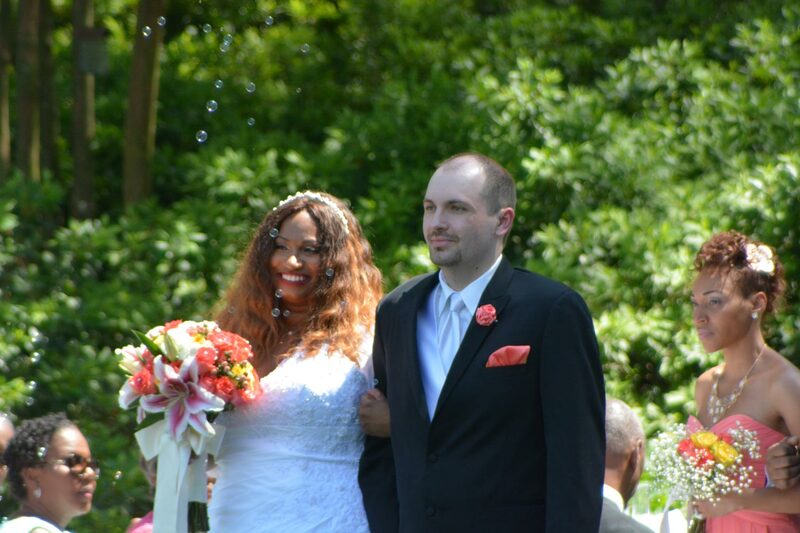 Reservations may be made for either a 2:00 p.m. or a 5:00 p.m. ceremony. 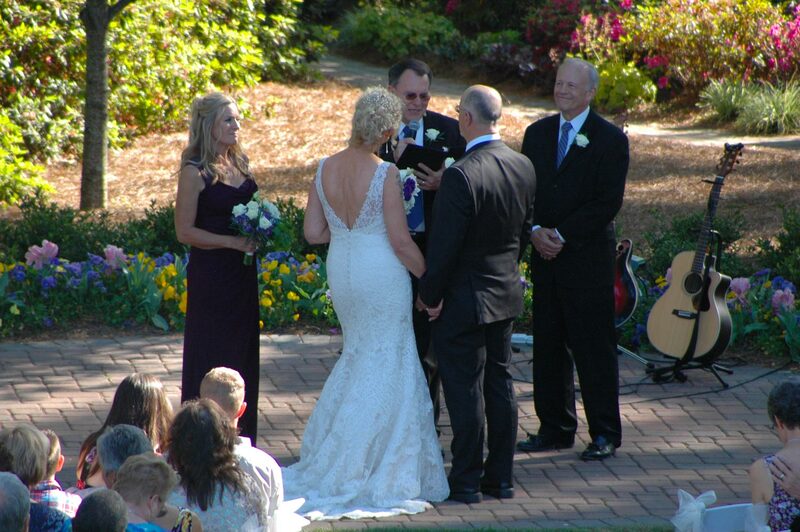 Capitol Broadcasting Company founder A. J. Fletcher created the WRAL Azalea Gardens as a service to the community. The Gardens opened to the public in 1959, and surround the television studios on Western Boulevard in Raleigh, North Carolina. Fletcher loved azaleas and enjoyed finding new varieties. He decided to share that passion with the general public, personally overseeing the installation of a thousand azaleas to create the original Gardens. The Gardens have expanded in size and plant varieties over the years, but Fletcher’s intentions of “Paying a tribute to beauty for beauty’s sake” hasn’t changed. The Gardens are lovingly maintained by CBC Corporate Property Management with active input from Fletcher’s grandson, CEO Jim Goodmon.